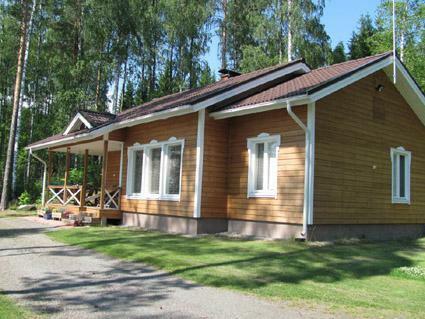 45 km west of Kuopio, L.Virmasvesi 40 m (length 17 km, width 7 km), shallow, hard sand/stone bottom, own boat. 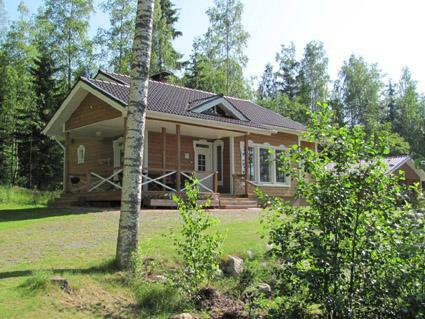 Wooden cottage 2007,living room/kitchen, 2 bedrooms double bed in one and single beds in another, sleeping loft (sloping ceilings, partly more than 160 cm high) 2 beds (80 and 120 cm wide), utility room/dressing room, washroom, sauna, hall, open porch. Plot partly in natural state, grass in front of cottage. Shore faces west, neighbours not visible. 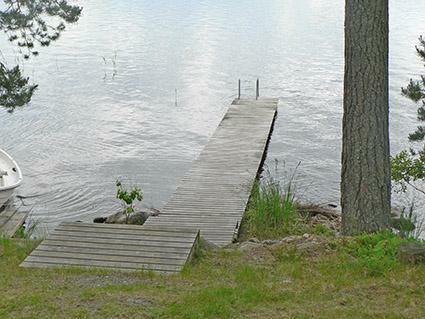 Near shore is volley ball/badminton court, childrens sand box, garden swing. Crib and high chair for a baby available. 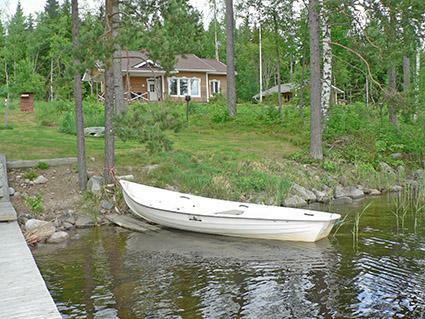 Owner rents eskimo canoe, bicycles and smoke sauna (note: not possible rent the outboard motor!). 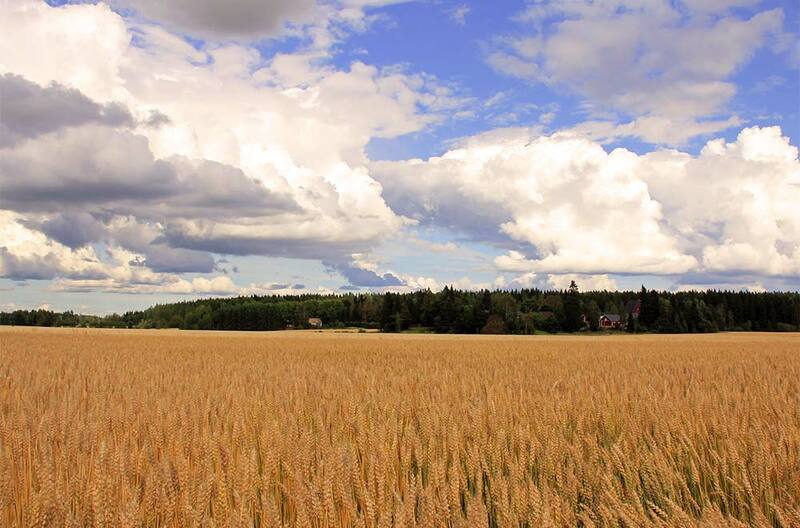 Horse riding opportunities 10 km, Karttula 9 km, Eerikkala Golf 23 km. 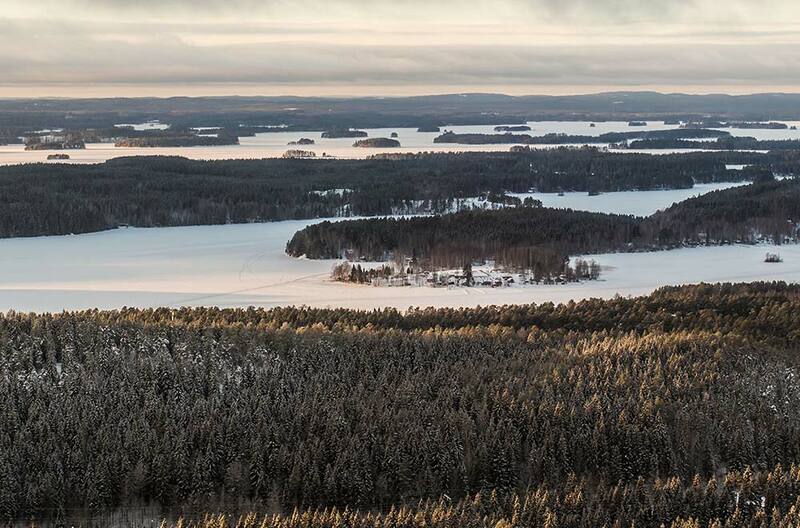 No skiing tracks in winter when little snow. Please always check the owner in advance.